I came home from my run and Reagan was out on her bike riding with the big girls. How cool is that! 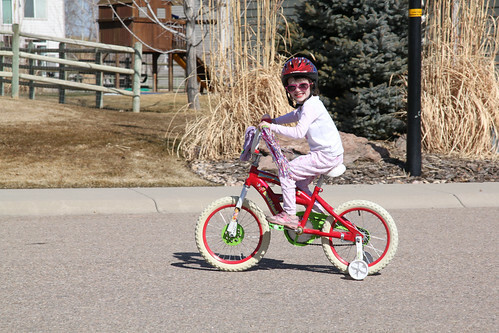 Last year, she wanted nothing to do with this bike while watching Sydney learn how to ride on 2 wheels. Now, she loves flying down the street. Next, I will have to talk her into giving up the training wheels. But I might wait until the end of summer.